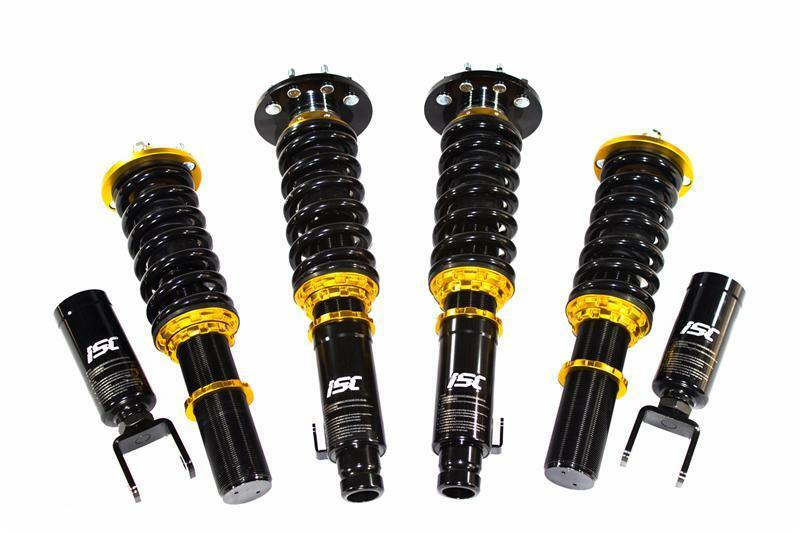 ISC Suspension N1 Basic Coilovers - Lightning Motorsports - Selling Speed since 1996 ! The ISC N1 Basic has all the great features of the regular N1 but has solid top plates instead of a camber plate/ pillowball application in the front. Many street enthusiasts do not need to have adjustable camber plates, so the Basic was made in order to simplify the product and eliminate any feature that may not be used for your average street car that is not going for track performance, or aggressive camber/ stance. The N1 Basic is also more affordable. 5 Year Warranty: All service, rebuilds and warranty support are done here in our USA facility. 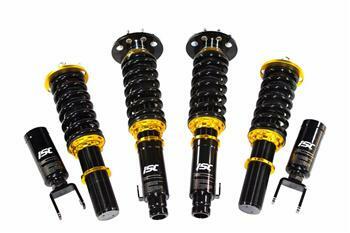 All custom coilover orders are hand assembled here in our New Hampshire location. ISC reaches to have some of the best customer service in the industry. Shafts are valved according to the spring rate you choose. A Shock Dyno is used to ensure quality and consistent results. Larger cylinder and piston design to advance driving stability and dexterity. Mono-Tube damper with high pressure nitrogen. Threaded portion of shaft is powder coated then salt spray coated for optimum street durability. We suggest also using anti seize or other protective products when you install your coilovers for even further protection from the elements if you are exposed to snow and salt. Dyno tested over 500,000 times on compression inspection with less than 5% deformation. Street Comfort, Street/Sport or Track/Race (spring rates vary depending on application, custom spring rates are available). We understand each driver has unique demands are happy to offer you a custom set for your vehicle. Full length height adjustable- 3 inches or more on most applications. High quality T6061 aluminum alloy used for all adjustment locks to provide a lightweight design that holds spring and vehicle down force. Bound Adjustable with Separate Spring Locks. Preload is separate from ride height; the lower you go the ride quality stays the same! Made from T6061 aluminum alloy by organic shaping to lighten weight and increase handling performance. ISC Gold or Black anodized surface to help prevent inside corrosion and surface rust. Brake lines and mounting brackets are welded onto the bottom mounts in most applications for an OEM type installation and fitment.